In an effort to give solace to my stressed out students, I recently offered a bromide that probably rang hollow. I told them that they are not alone. That there are kids on campus, even in class, who are likely going through some of the very same stuff they are. I also said that for a whole lot of reasons—one being that I’m just plain old—there’s probably nothing they could share that I hadn’t already heard. I know on one level this notion may have caused more consternation than comfort. They want to believe—as their parents have always told them—that they are completely unique. That they and their problems aren’t some same-old, same-old that stand commonly bland aside their peers and some of the bigger picture issues in life. They want to believe—even when it’s horrible, bad, stuff—that they are different. In spite of what they’ve been told, their accomplishments aren’t all grandiose and their failures aren’t completely catastrophic. Someone, somewhere has been through what they’re going through and has gotten to the other side. They likely will, too. It used to be that this assurance gave comfort or at least offered an emotional platform from which to build a conversation. I knew a student who had suffered a horrible, calamitous event. She felt rightly devastated and alone and expressed her grief appropriately –whatever that really means. But -I watched her behave with a similar sense of devastation when the loss wasn’t nearly as big. A bad grade, a horrible day, a poor interaction with professors and peers often garnered the same kind of emotional response. And from where she came—from where they all come—it probably makes sense. If they’re completely unique in their universe, why shouldn’t they feel completely alone? If they always feel compelled to shine as brightly as the sun, maybe even a little darkness really does seem like the end of the world. But what if there were others like them? Just like them. What if they weren’t totally alone in a bleak universe, but rather shining stars among many? I’ve often wondered upon the claim of snowflake uniqueness. How can we be so certain that no two are truly alike? 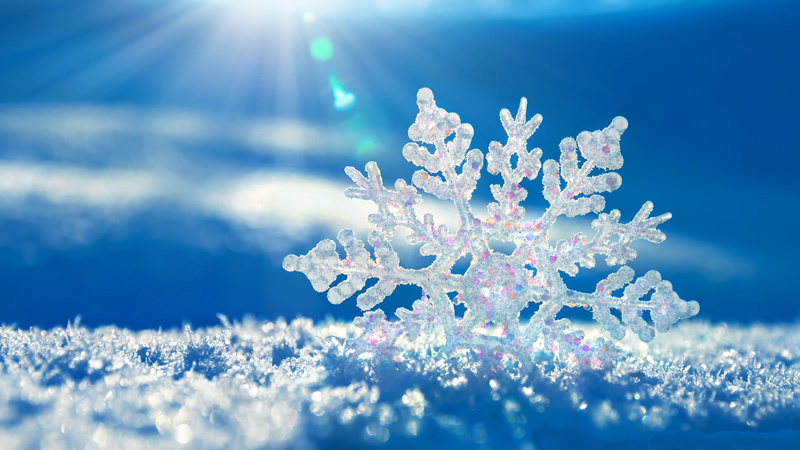 Sure the quintillion plus water molecules that make up a single snowflake may form in a gazillion different ways, but that formation occurs in a fully formed flake. Apparently even scientists agree that those early developing snowflakes are pretty darn similar; just six-sided prisms, virtually indistinguishable, one from the other. It’s only with time and age that snowflakes branch out, grow and become truly unique. Our kids should believe that they’re unique and wonderful and special. But there’s also a benefit in believing that in some ways –they’re just like everyone else, that they have more in common with their fellow flakes than they might think. And that maybe, just maybe, if they turn to each other in the storm, they’ll find some shelter. This entry was posted in adolesence, Kids. Bookmark the permalink.